This summer my ultra favorite trend is the always comfy maxi dress. The 60's style long length dresses offer the perfect breezy vibe for any summer event. Before embarking on my Jamaican adventure a few weeks back, I stopped by Venice beach where I discovered this feather print strapless maxi at one of my favorite boutiques on the famous boulevard. The length was perfect for a day to night transition and any opportunity to wear white when you know you'll be soaking up extra rays, is an opportunity I always take. 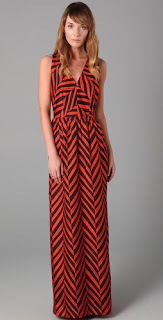 When it comes time to choose your maxi dress try to stick with smaller more subtle prints. Since you're rocking the extra fabric you wanna be careful not to go over board with the patterns. Save the bigger and bolder prints for your mini dresses. In order to shake off the beach vibe and add that night life flair, try pairing your maxi with a denim or leather jacket for an edgy chic alternative. Going for that relaxed vibe, add a floppy hat like Disney star Vanessa Hudgens. To achieve that effortless red carpet look, try cinching in the waste with a belt like the always stunning Amber Lancaster. Style maven Nicole Richie loves maxi's so much they're literally popping up everywhere in her uh-mazing Winter Kate collection and stylist to the stars, Rachel Zoe has recently been photographed in more maxi dresses than I could psychically fit into my closest. Whether it be an attempt to conceal her post baby body or just Rachel following the trends, one things for sure, maxi's are here in a major way and I couldn't be more thrilled. Below are some pictures of my favorite celebrities killing it in their favorite maxi dresses. Which look is your favorite? Something Extra: Loving this trend? I pulled some of my favorite maxi dresses available online. Click the picture to get the look. Those are thee cutest dresses! I love how comfortable Maxi Dresses are!! I AM SO HAPPY YOU FOUND MY BLOG!!! more money to spend on it. I have been looking through all your posts, and they are great! I can't wait to see more! And I so admire you for moving across the country to follow your dreams. That is awesome! I'm obsessed with maxi dresses & skirts too this summer, they are just perfect! You look beautiful, great photos hon! Beautiful dress and LOVE your bangles! Maxi dresses are one of my favourite summer trends too. Love your bangles. they are gorgeous. You are SO GORGEOUS!!!! Are you a model?? I love your blog, and I defenitly will follow you! Love the dresses on this post, I will need some like these here in Greece!!! Thanks for your comment, you're too kind!!! YOU LOOK GORGEOUS! Amazing pictures! wow! Spectacular!! This is gorgeous! I've been crushing on the maxi dress for a while now, too. It just seems so easy and comfortable. Must buy! I love maxi dresses and you look fabulous! So cute- I like yours the best! lovely dress ! You look very nice! The color and the print of your dress are very cute!! Your feather print version is gorgeous. maxis are so easy - just throw it on and out the door! Thanks for stopping by my blog. Your blog is so cute. I love Maxi Dresses, they are my favorite thing, they are so easy to wear and it makes me feel summery! great look, i love it ! I am in love with your feather maxi dress. I love anything with feathers on and this looks amazing. Do you know if it is possible to get online? I fell in love with this dress. You look amazing. And your blog is super cute so I have to follow you of course!!! 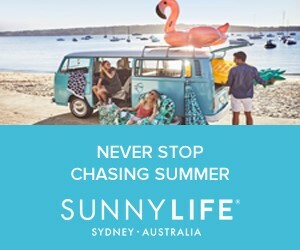 Just found your site! love it! Those maxi's are super cute. Love your dress! You're so pretty! Fabulous! I am crazy about maxi dresses! Will have them a lot in my new store collections! maxis are my absolute favorite things in the world!! thank you so much for finding me, i couldn't be happier to have found you as well! a southern girl in LA, what could be better?! I'm a big fan of the maxi dress! Thanks for finding my blog and letting me know about yours! I'm a new follower! wao!!! that dress is awseome!!!!!!!! You maxi dress is wonderful..
Love ! Bought my first two maxi dresses this year. Just sold colours but still fun! you are too cute! and love your trend watch!!! definetly going to be checking in with you every week. thanks for commenting on my blog, that way i found you!!!! Luv, Luv, Luv the maxi dress you have on! Maxi dresses are my favorite! I love the first one by Parker! I love maxi dresses! Already got a couple for this summer. I love yours! The feather print is so light and airy. Hey great post! I have already worn my maxi dress to work. i love yours! Your my favorite in a maxi. I love your dress the best and it looks fab on you! I'm loving this trend too! And it's comfortable!! i am loving anything maxi lately, btw gorgeous scenery in the photos, the water looks beautiful! So beautiful dress!! And confortable too!! Gorgeous! I'm glad you stopped by my blog and started following! I will definitely be a follower too! I am a big fan of the Maxi dress. I would wear my favorite one every day if I could - stylish and comfortable! What an amazing sea color! And the dress is beautiful, I'm a big fan of Maxi dresses. 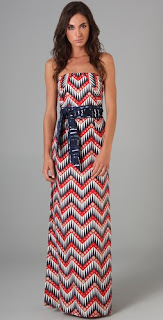 Love that print maxi on you -- you look absolutely gorgeous! I love maxi dresses especially on Rachel Zoe and Jessica simpson, So glad they've stuck around longer than a season. I love the Parker and DVF dresses. So pretty. Great maxi dress!! I love it. I live in Maxi dresses here in FL! Thanks for dropping by my blog! 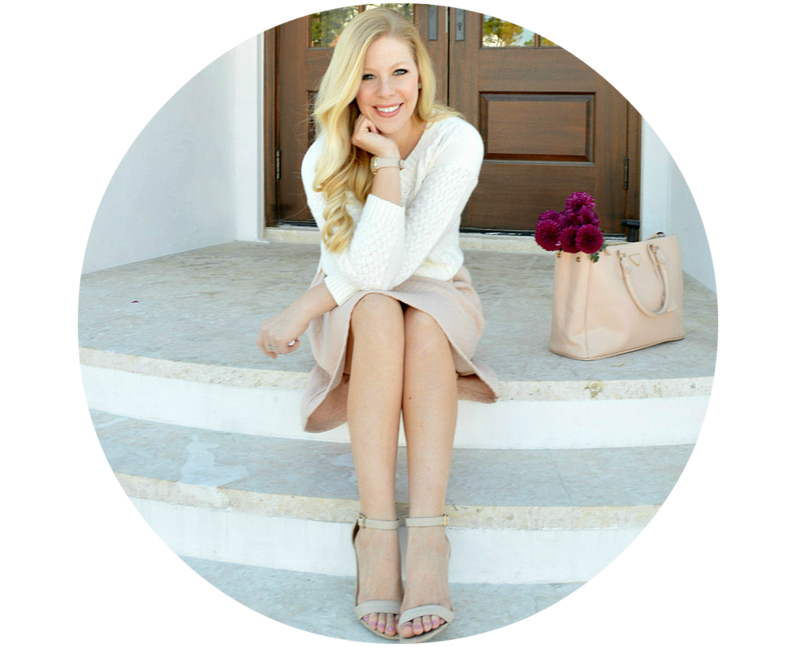 You have a fabulous blog... love the photos and love your style! Thank you for stopping by my blog and becoming a follower! I am so happy it led me to yours, which is great. Fashion blogs are my fav and I'm looking forward to following along with yours. Love them all, but yours is beautiful! I just bought one recently and have a question that I would love for you to answer: I need to have mine hemmed. What length is proper? An inch from the floor? More? I don't want it to drag! I mainly want to wear mine with flat sandals and flip flops. STUNNING! i want the beach right now! love your dress!! it's so pretty! Thanks for the comment today! I love your feather print maxi! im adoring the one on you most! beautiful! I love this Maxi look, and your feather print is beautiful (I just think Venice Beach is great!!!). You look so beautiful, and your photographer does such a great job of capturing you in the moment, just an awesome blog. You should be on E to take Juilliana's place when she leaves. Amazing! This such a lovely dress I've seen. I have an idea now what is the best gift to my aunt. Thanks.